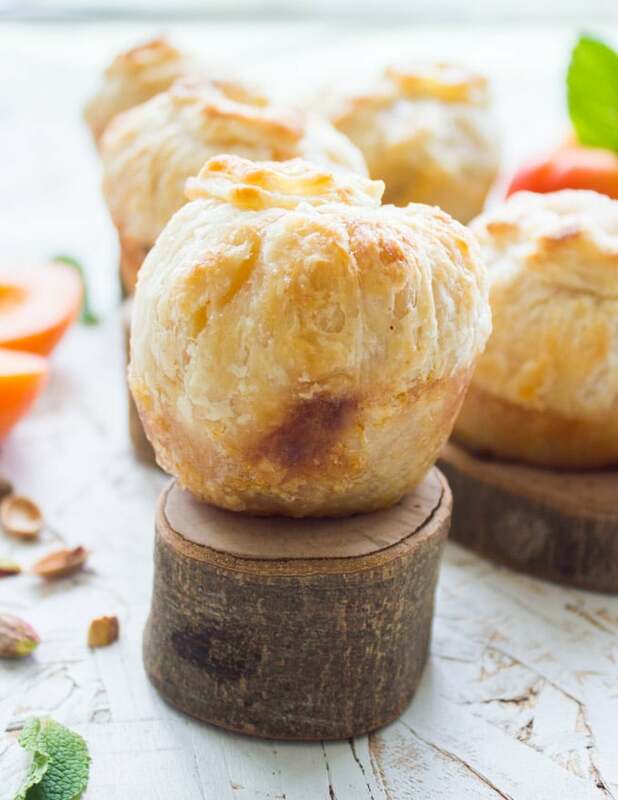 This summer, why not serve your guests an individual whole peach pie or apricot pie instead of a slice of traditional double-crust stonefruit pie? It makes for a prettier presentation and takes way less time to bake! I have a thing for fruits. Fruity desserts, fruit smoothies, fruit in salads, in salsas..everything. 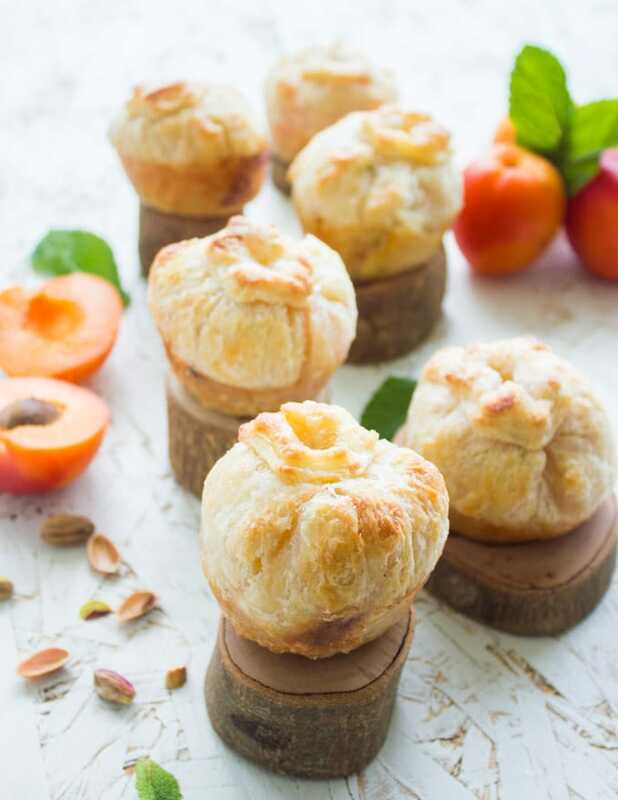 Today I’m sharing a no-fuss Easy Whole Peach or Apricot Pie recipe that just screams summer! 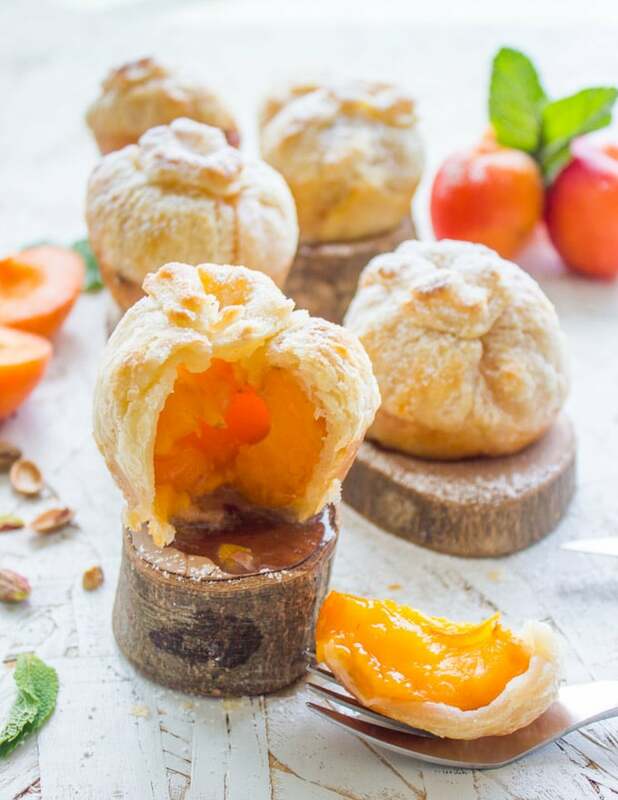 Making these little peach and apricot pies as individual fruit pies they bake in a fraction of the time. Plus there’s no chopping and no fancy pie crust topping. 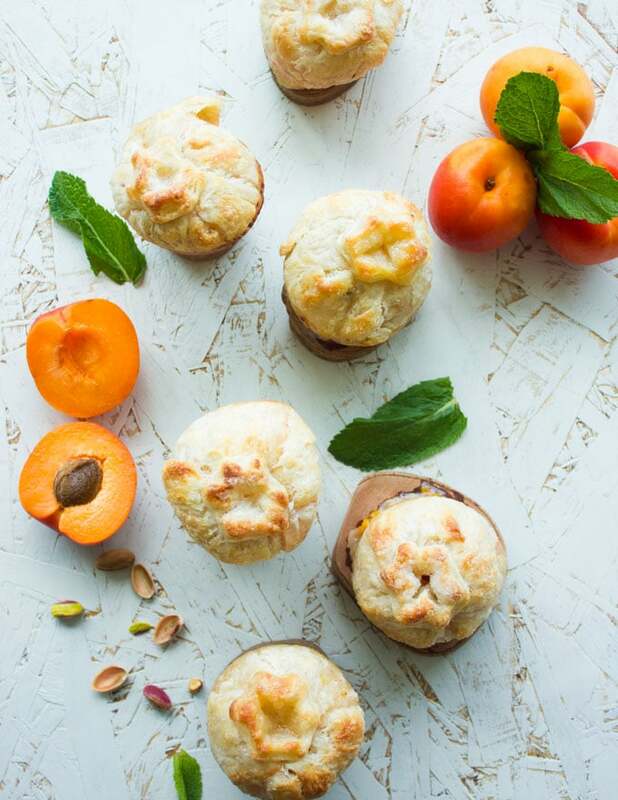 If you’re a fan of easy and summery stonefruit desserts, you’ll need to make these mini pies! Just pure peach and apricot pie love. 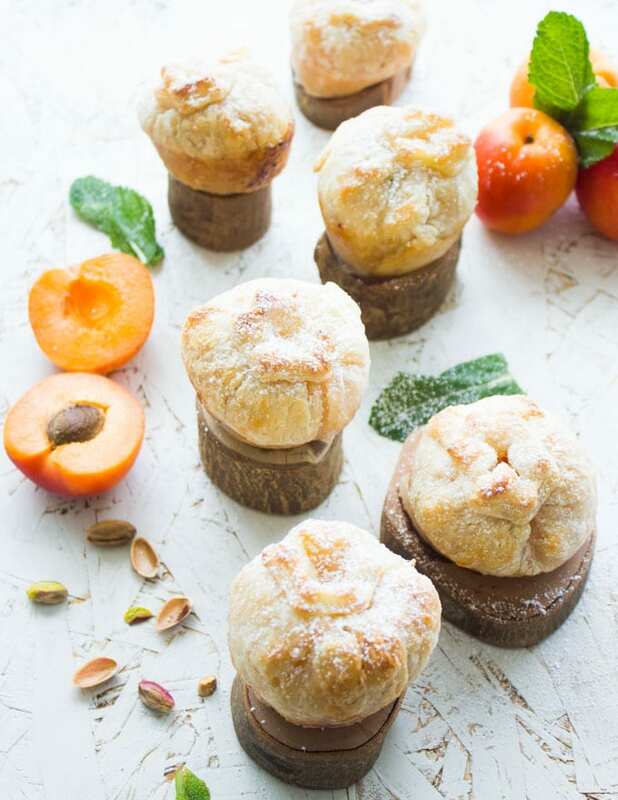 Obviously, these individual whole peach and apricot pies are best served warm and if you add in ice cream, you’ve got yourself a real summery treat! 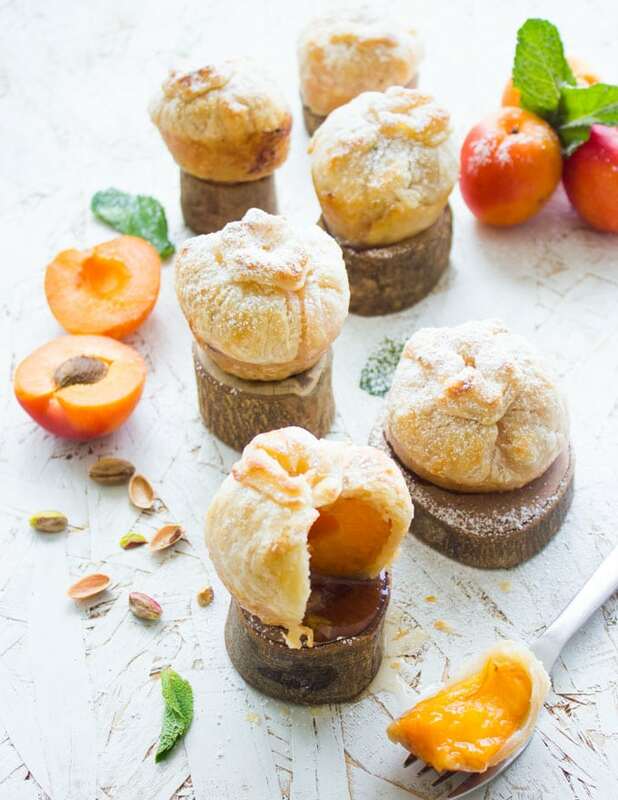 If you’re wondering why on earth I did not shoot some photos with a melting scoop of ice cream on top of these little individual stonefruit pies, well I forgot! How silly! These whole apricot pies are probably one of my favorite pies ever. Not just my favorite apricot pie and I was too excited to photograph it for you. 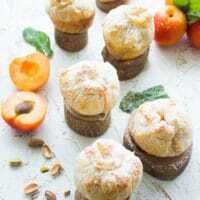 I found those tiny wooden chunks at my daughter’s school and borrowed them from the teacher so I can put each peach pie or apricot pie on one of them. Then I went hunting for juicy peaches but instead found sweet apricots. So while I’ve been making this recipe using peaches only, I’ve actually really LOVED the apricot version too! I guess what I’m trying to say is that I got a bit overwhelmed with planning the photo shoot. So finally when it was photo day, I forgot the ice cream. Ironically, I’m not one of those people who plan too much. I don’t know if it’s smart to openly share that lol. But with hubby being one of those people who almost plan every bit of detail around him, I like to sit back and act like I don’t care. Deep down, I probably do, except with my photography lol. I usually make the recipe, plate it, center it and then start scattering stuff around it. While that doesn’t make me sound so professional because there is a lot of know-how for food photography, and I’ve had a few courses on it. To me, it seems like the more spontaneous things are, the most beautiful the outcome will be. And that actually applies to probably everything in life! 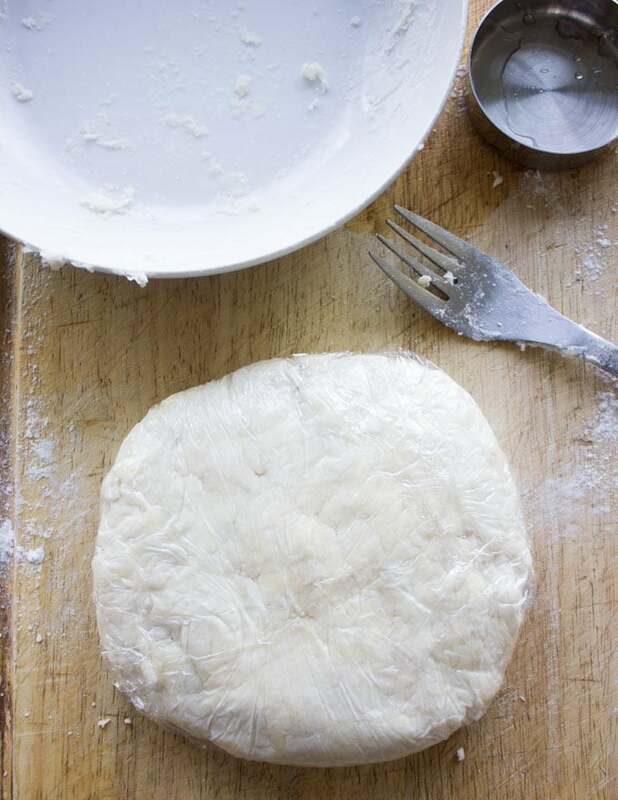 Start by making this easy Flakey Pie Dough recipe I posted a few years ago. It’s like the answer to all your pie crust prayers. I’ve included a step by step guide at the bottom of this post to pie crust perfection!! Give it a shot rather than going for store-bought puff pastry-which would be my second option. Start by rolling out the crust and cutting off 5-6 inch circles for the fruit. Then, cut out small 1-inch flowers (any shape) for the tops. 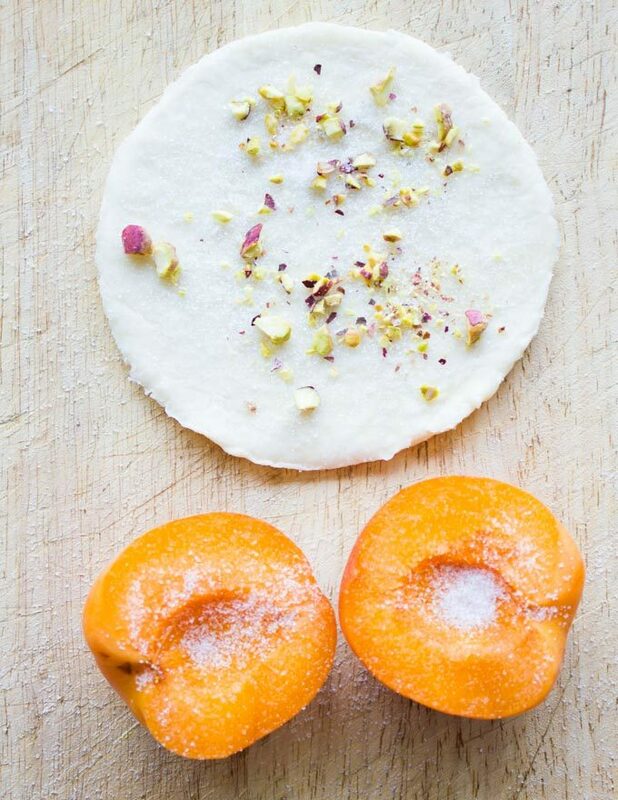 Take your peach or apricot, simply split each fruit in half and remove the pit, then generously sprinkle sugar over half of the fruit. For even more flavor and crunch, I love sprinkling some crushed pistachios at the bottom of each pie crust. Certainly, any nut will do, so feel free to swap that with almonds for example. 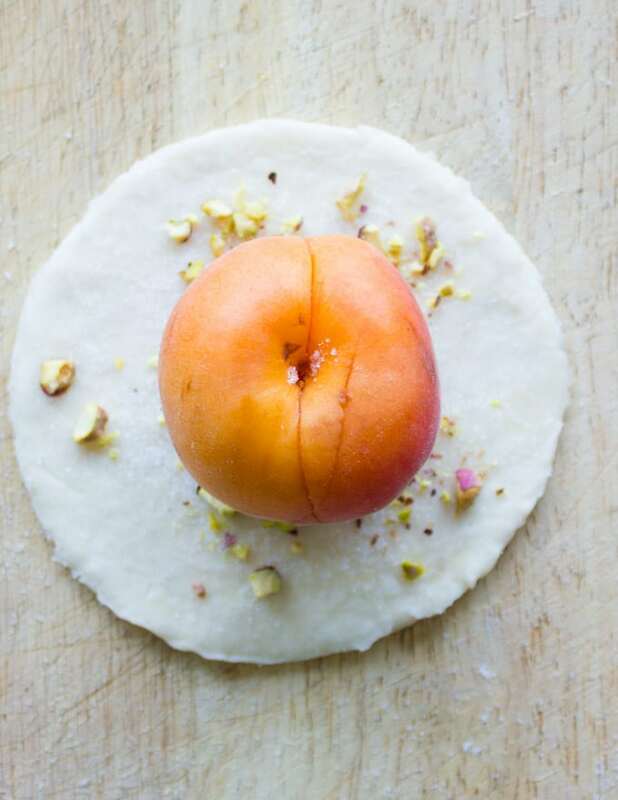 Now take the apricot/peach and press both halves together, put them over the crust and seal the crust over them to form like a ball of peach pie. 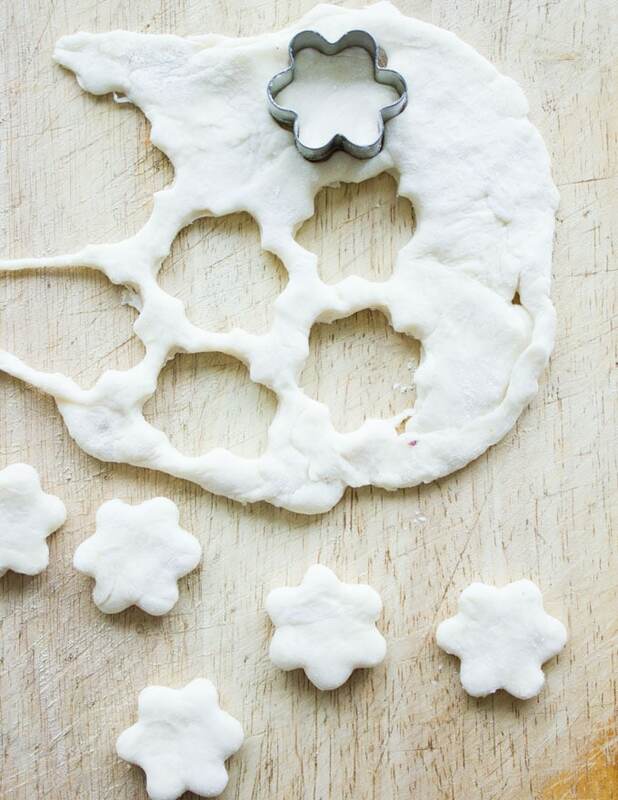 Take one of your flower pie crust cut-outs and place it over the top. 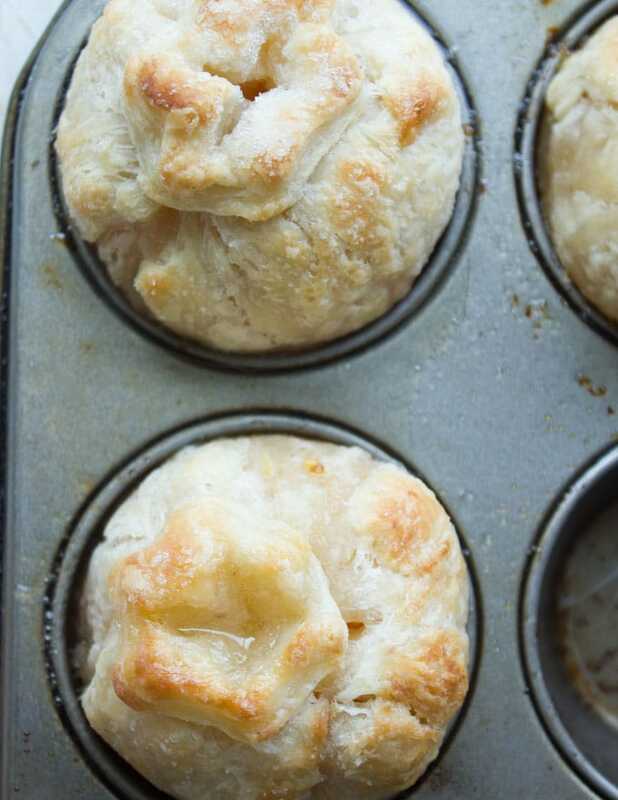 Finally, put each apricot or peach pie right into the cavity of a standard muffin pan and cut a small cross on the top of each pie. Now, bake bake bake!! As soon as they’re out from the oven, be careful they’ll be hot. 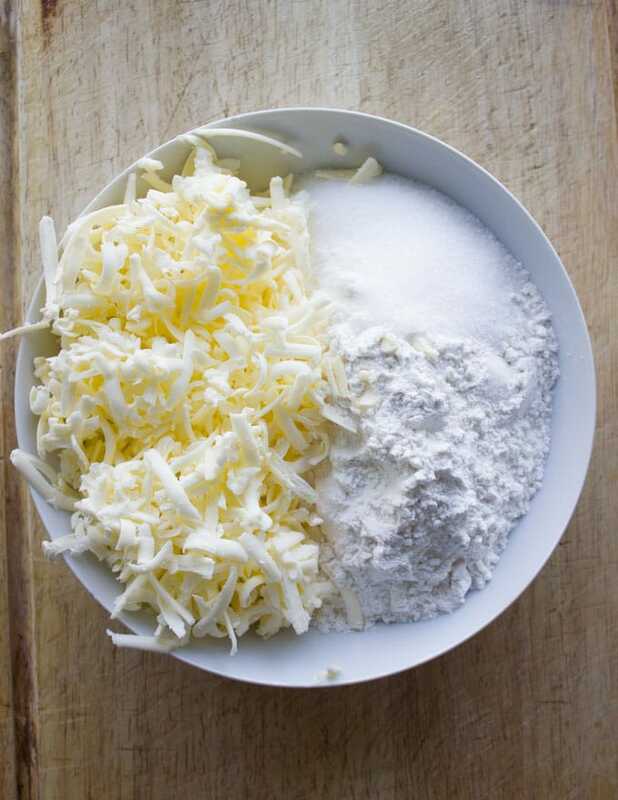 Mix Grated frozen butter with flour, sugar, and salt. 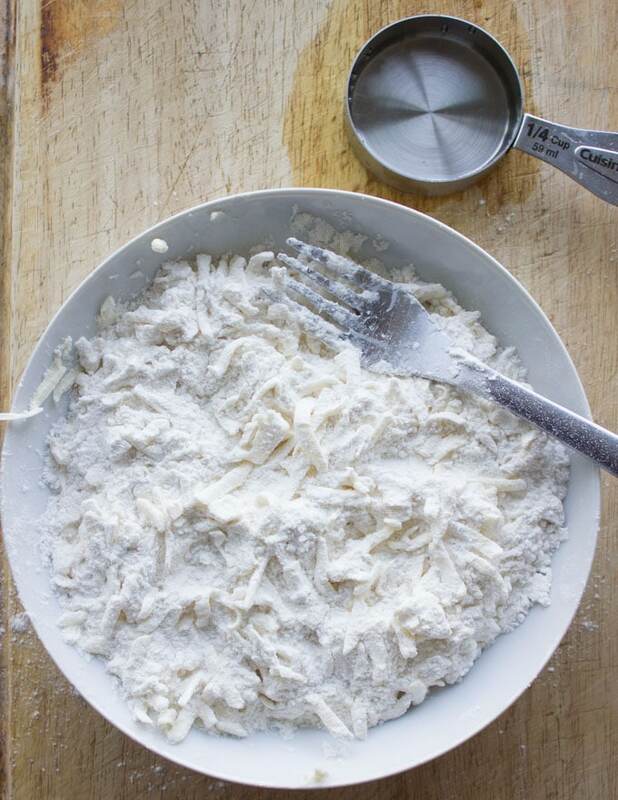 Add in cold water and stir with a fork until dough comes together. Wrap the pie dough in cling film and chill. And it’s READY!!! Make sure you freeze your butter well ahead of time. 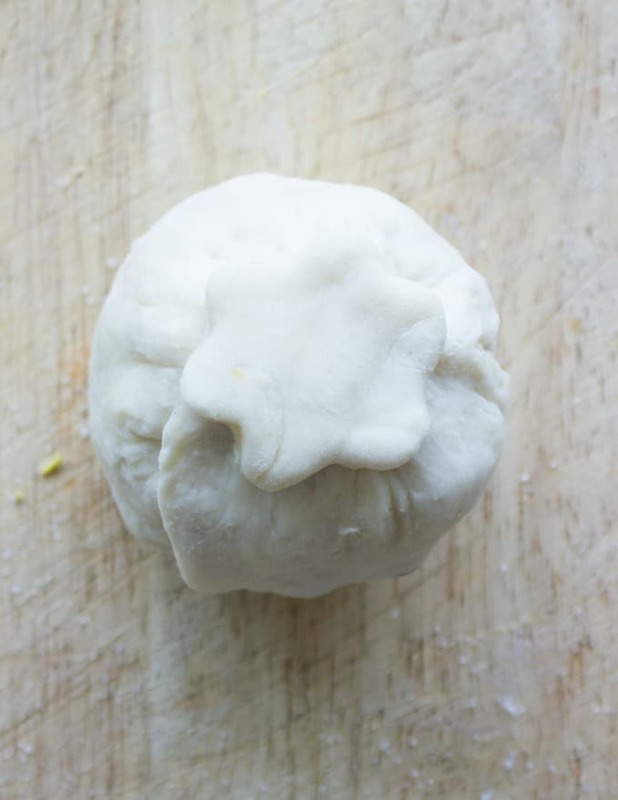 Chill all your pie dough ingredients. You can even chill the bowl. 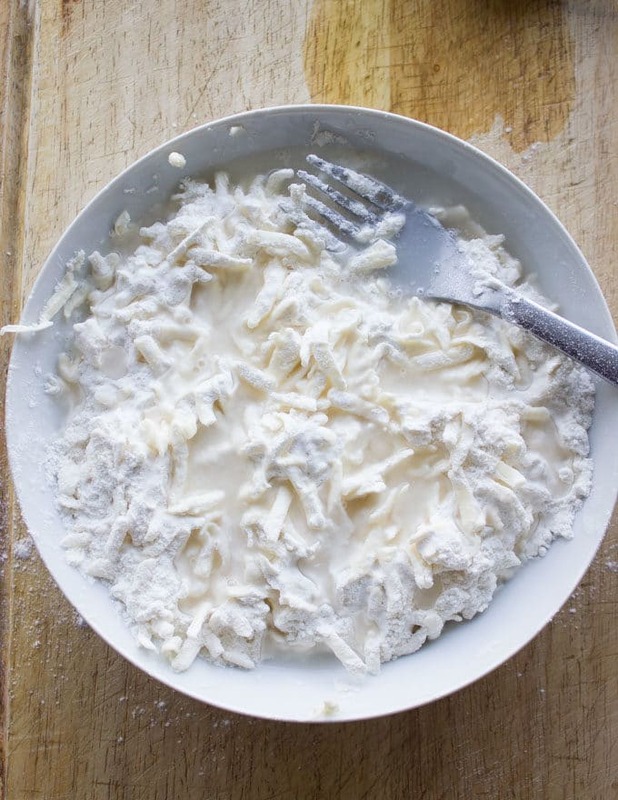 Do not overwork your pie dough as this will make it tough. Feel free to substitute almonds, walnuts or macadamia nuts for pistachios. If you must use store-bought pastry, I would recommend puff pastry! Preheat the oven to 420 degrees F. Make the pie crust by adding the flour, sugar and salt in a bowl. 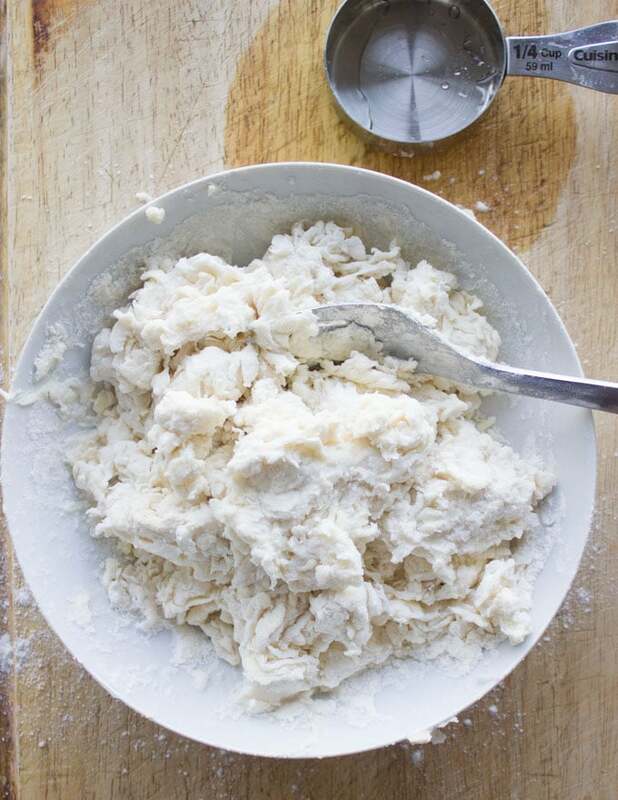 Add in the cold butter and use a fork to fluff up the flour mixture with the butter mixture. Then add the water tablespoon at a time fluffing with a fork to get in blend in. Don't use your hands yet and don't squish the butter, rather keep fluffing everything together. 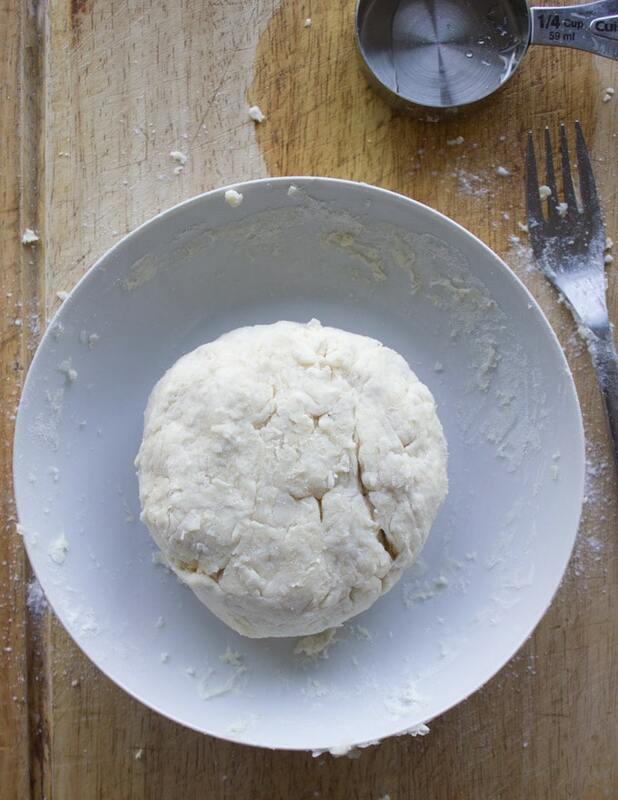 Keep adding water until the dough starts to look like it's coming together and sticking into a dough. 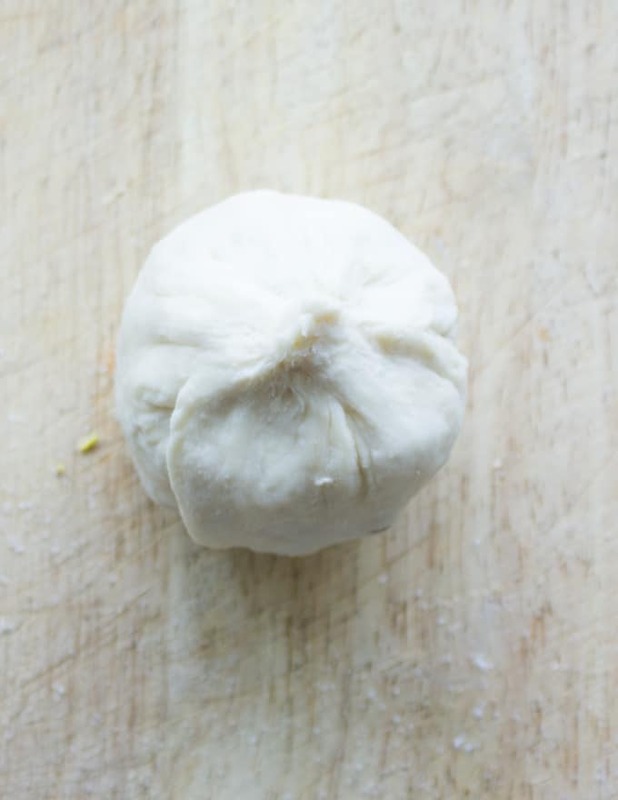 Gather the dough with your hands and wrap it in a plastic wrap, then chill the dough for 30 mins in the freezer or an hour in the fridge minimum until ready to use. 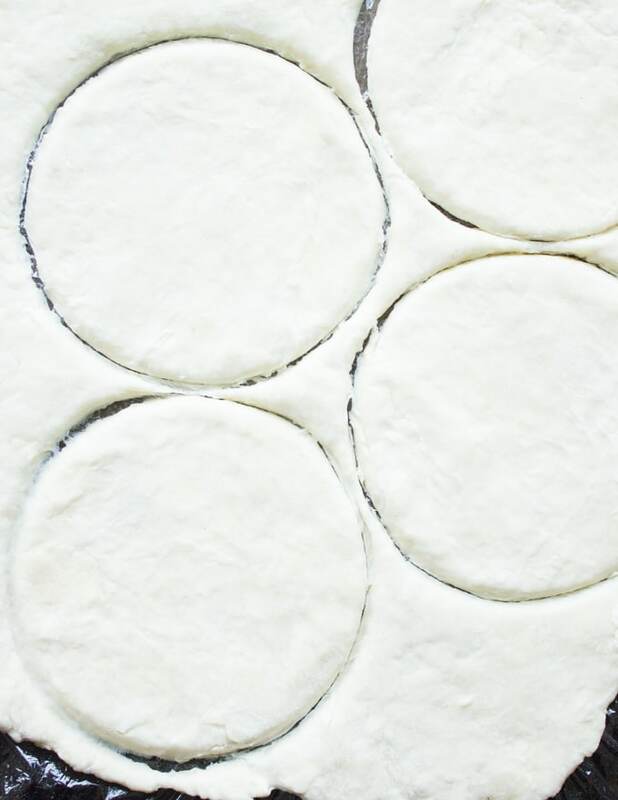 When ready, remove the crust form the fridge and roll it out on a floured surface, and cut out about 5 inch circles (more or less depending on the size of your fruit). Scatter some pistachios over each circle and press them down slightly on the crust. 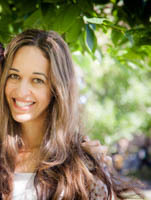 Re roll the scraps and cut out small shapes of flowers or circles about 1 inch size. Take the fruit halves and sprinkle a lot of sugar over each cut half of the fruit and press the two halves together to form the shape of a peach again. Place it over the crust and wrap them over the fruit. 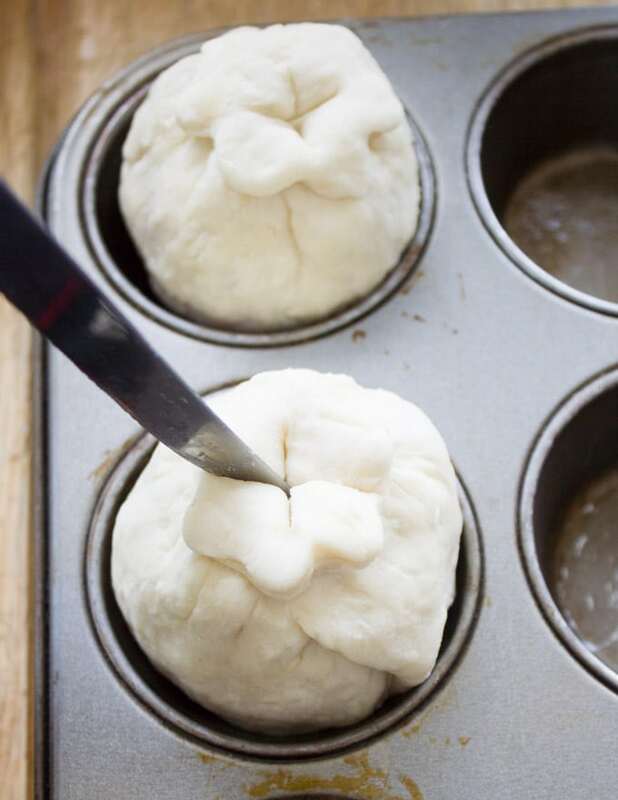 Place each over a muffin cavity. Wait for 10 minutes before removing from the pan and serve with confectioners' sugar and ice cream!! 🙂 Enjoy!